In this tutorial I’ll walk you step-by-step through the process of using App Inventor to Parse JSON data. You have to watch the last tutorial to understand this one. I’ll pull JSON weather data from Weather.gov and show how App Inventor organizes that data. 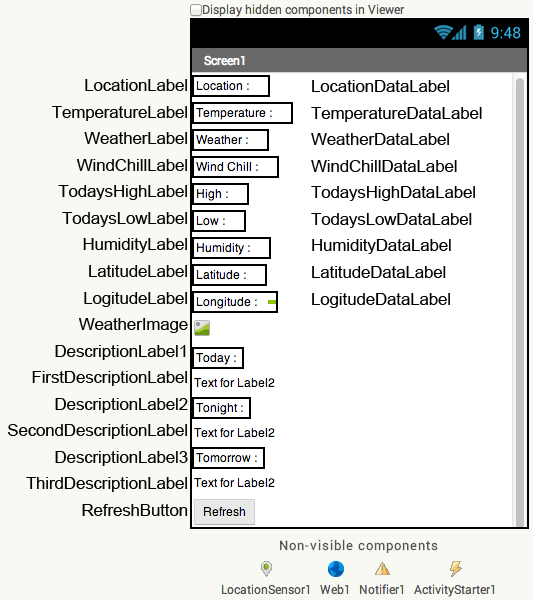 I’ll then pull in specific data that we will use to create our Android weather app. I’ll also show you how to add padding to components in App Inventor. All of the blocks used can be found after the video below. Click the image below to enlarge it to full screen. 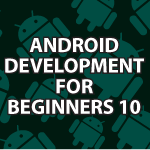 I want to thank you for the android app inventor series you have been doing during the last weeks. In fact, I know little of programming languages and this seems a lot easier for me to start. I also have a question for you regarding the apps that can be made with this program. Can these apps be sold ? and if so , how much could they be priced? You’re very welcome 🙂 Yes they can be sold. The price would depend on what people are willing to spend for it. I wish you the best. This is a great tutorial about using a public API in App Inventor – looking forward to Tutorial 11 🙂 ! Thank you 🙂 I should have 2 more up this weekend. I’m glad you like them. I would like to thank you so much for your very high level quality tutorials. Is it possible to use appinventor for write/read data in mysql(etc), sqlite, using sql clauses. If yes, it would be awesome if you could cover it in a tutorial. How to build components for appinventor. You can definitely read and write data to a web server running MySQL. I read from web services over the course of this tutorial and they could very well use MySQL on their end. I’ll definitely cover how to do this. Hey, I thought this was a awesome blog. Apreciate you sharing. I love these videos! I’m really confused by how to read the json lists generated by app inventor. Is there an easy way to figure out how to drill down and use the right indexes? For example, I’m trying to use this json data from weather underground but I’m pulling my hair out trying to display the right data (temperature forecast for monday and monday night, for example). Are there any tricks??? Thank you 🙂 Sorry, but it will require a lot of trial an error to figure everything out. You’ll basically have to use the same technique I used in these videos. Sorry I couldn’t help more then that.